It has been a fantastic weekend for the club. 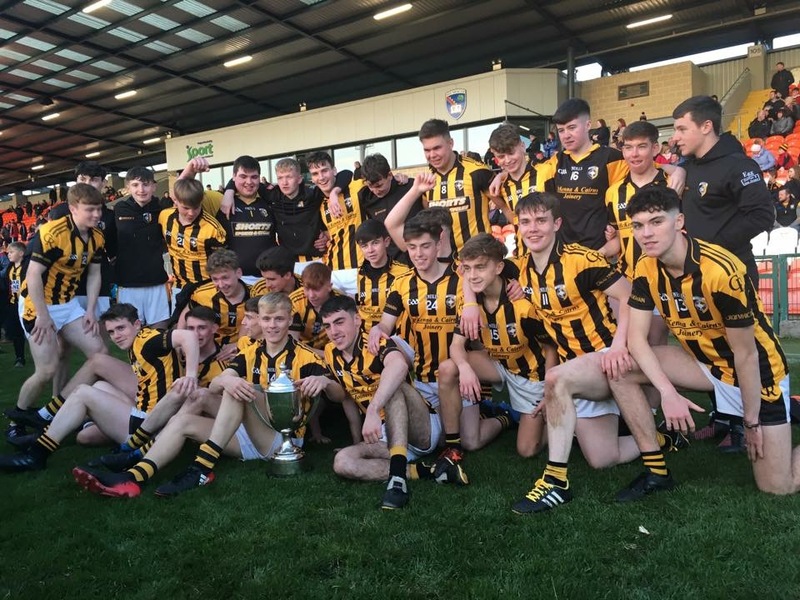 Our Minors were crowned Armagh Champions on Saturday. 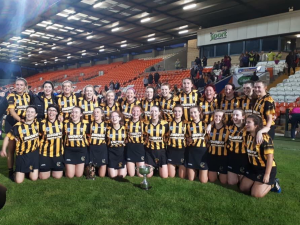 On Sunday morning the Minor girls progressed to the Minor Championship semi final after a good win against Craobh Ciaran and then our Seniors had a super victory on Sunday evening. 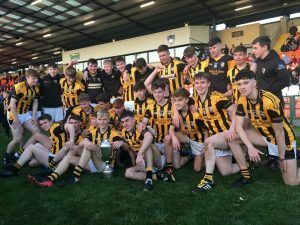 Well done to the three teams & managements. On Sunday, our Senior Camogs play Clontibret in the Ulster Final. Venue to be confirmed. Let’s get our flags out and bunting up and show our support. 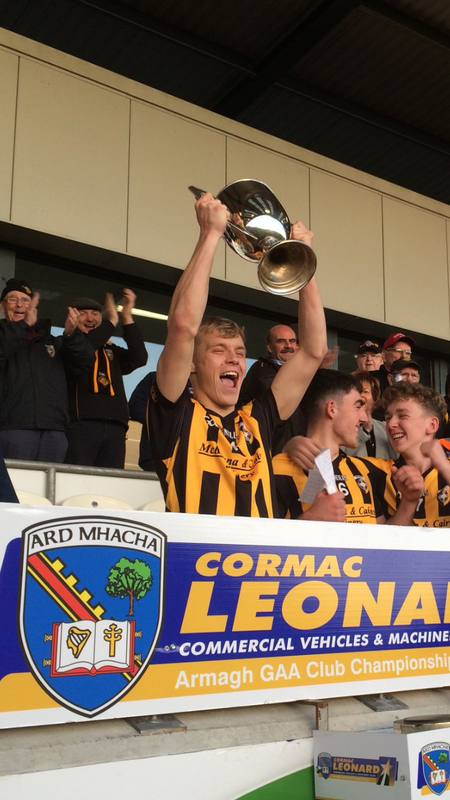 On Saturday evening, all roads led to the Athletic Grounds for the Armagh Minor Championship Final. 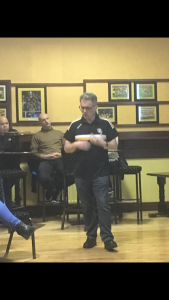 Our opponents were Armagh Harps and Christopher Lennon was the man in charge. Harps settled quickly, scoring three unanswered points in the opening minutes (2,F). We were struck a hard blow early on, full back Ryan Duffy sustained an injury and wasn’t fit to continue and was substituted by Ruairí Kieran. Harps were very much in control in the opening quarter and had a super chance of a goal if it where not for our number one, Stephen Morgan. They blasted a shot at goal but a fantastic block from Stephen kept Harps at bay. The opening minutes of the second half saw an even encounter, each side scoring three points, Tony O’Callaghan (‘45) and Cían McConville (2,F). As the game entered the final quarter, Stephen Morgan excelled in goals ensuring our lead wasn’t compromised. 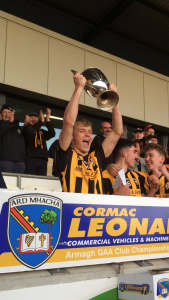 There were jubilant scenes in the Athletic Grounds as Sean McAlinden presented the Frank Hanna Cup to Captain Cían McConville. 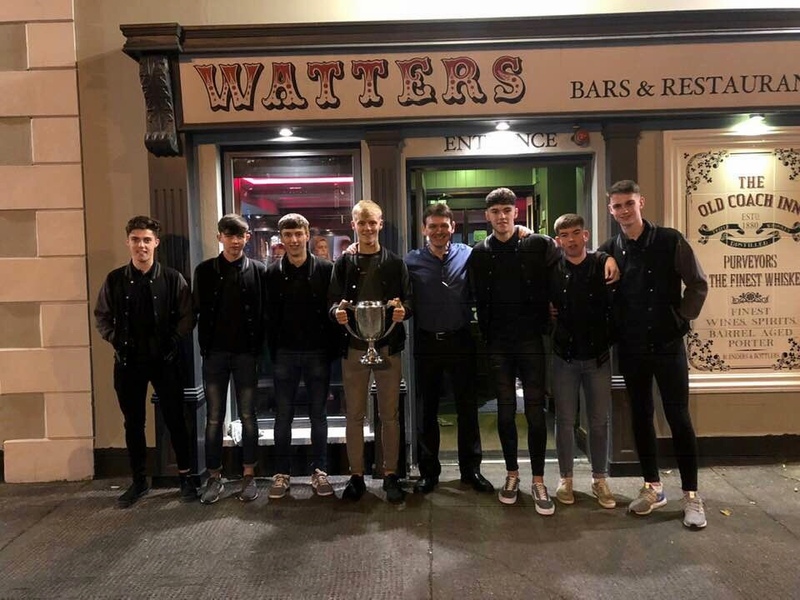 Well done to the entire squad and to Managers Stephen Kernan & Thomas Cassidy and to Peter McAllister (Back room team). The boys received a rapturous welcome from Raymond Watters and staff when they arrived at the Old Coach Inn, Castleblayney. Thanks very much Raymond. 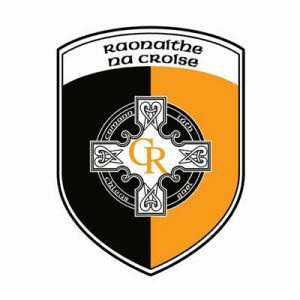 Our Senior championship semi final fixture had a five O’clock throw in against neighbours Cullyhanna in the Athletic Grounds on Sunday evening. A dull damp evening with a strong wind left conditions difficult for football. We played with the wind in the first half. Well done lads & management. We now play Ballymacnab in the Armagh Senior Championship Final. 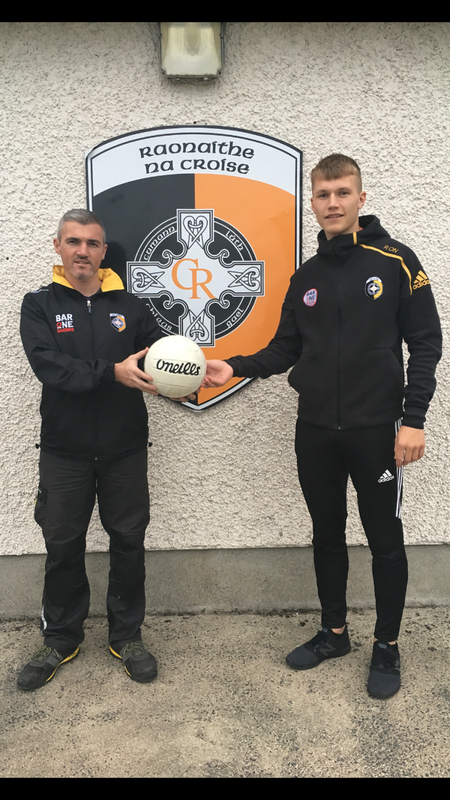 John Murtagh, Tullyard sponsored the ball for our Senior Championship semi final fixture with with Cullyhanna on Sunday evening. Thanks very much to John for your sponsorship and ongoing support for the club. 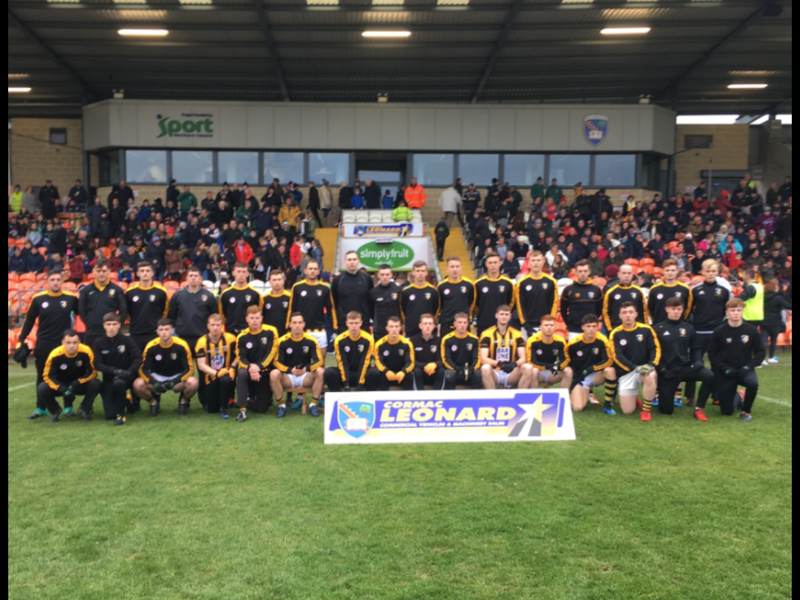 The South Armagh round is on Sat 3rd Nov at 6pm. 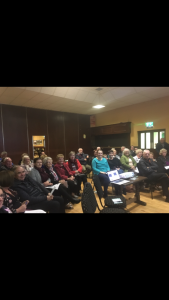 Any club member interested in solo singing, recitation, music, ballad group or quiz is asked to contact Johanne Donnelly, telephone; 0860783426. We had a very enjoyable evening in the hall on Friday. 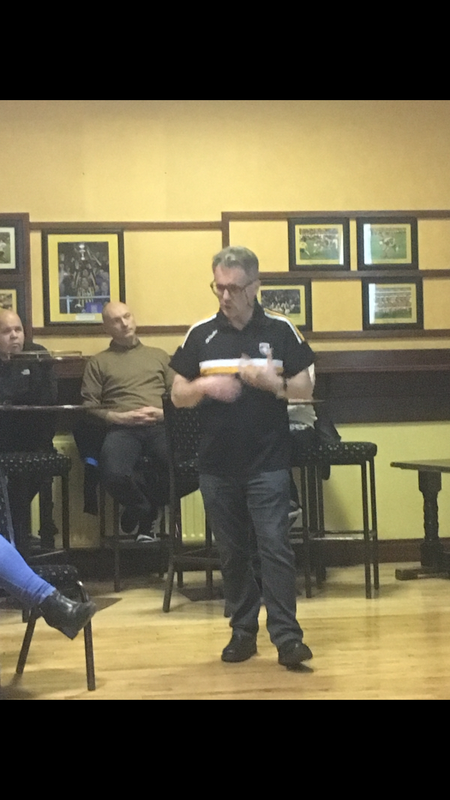 Réamonn O Ciaran, one of our own give a very interesting, informative and highly amusing talk, “The Language of South Armagh”, where all the local ‘spakes’ originate from. Many thanks to Réamonn for coming to the Rangers Hall, to our Irish Cultural Officer Johanne Donnelly who organised the evening and to all who attended. 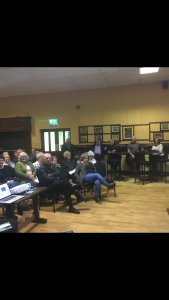 Child protection training will take place on Friday 12th October from 7.00- 9.00pm (Registration, 6.45pm) in the back meeting room. 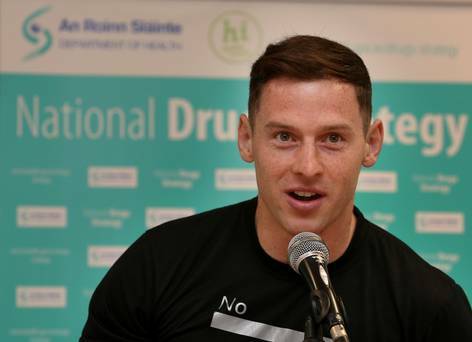 It is essential that we have all coaches, mentors and committee members at this training. 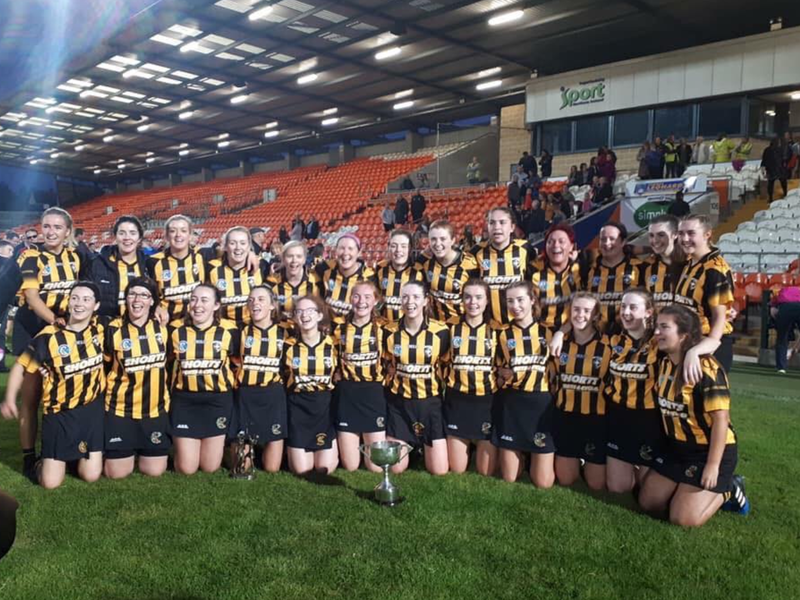 Good luck to our Senior Camogie team and management who play Clontibret on Sunday in the Ulster final. To show how proud we are of the girls & management, good luck signs are being placed around the town in the coming days. If you would like to support the girls by purchasing a sign, please contact Teresa (00353879579885) or PM Cross Rangers. We are looking forward to our night at the races which is under three weeks away. 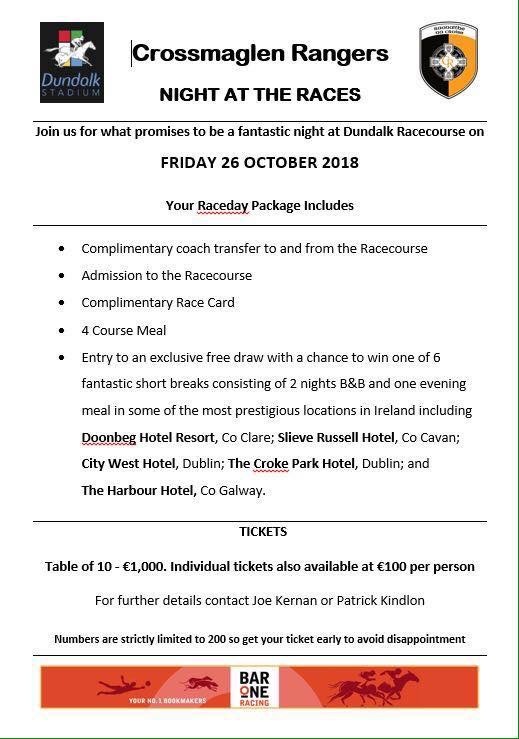 We need to confirm numbers with Dundalk Stadium. 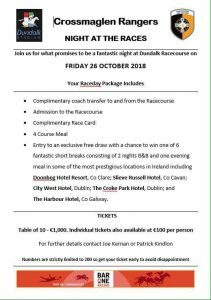 For those who have booked a table, can you please contact me , 0876659126 or pm Cross Rangers to confirm how many you have seated at your table. Tickets still available for this fantastic evening which takes place on Friday October 26th. We will also be giving away five meal vouchers for Garvey’s Bar & Restaurant, New Rd, Silverbridge. 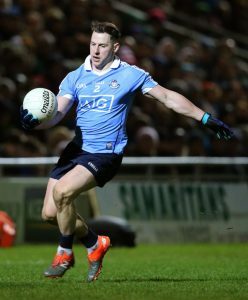 We are very excited to announce that Dublin GAA star, Philly McMahon will be in the Rangers Hall on Thursday 18th October at 7.30pm. Philly will speak about losing his Brother to drug addiction, the impact this had on his and his family’s lives and the subsequent work he does with young people to raise awareness that there is other options. Every Monday morning in the hall from 10am till 12. Everyone welcome. 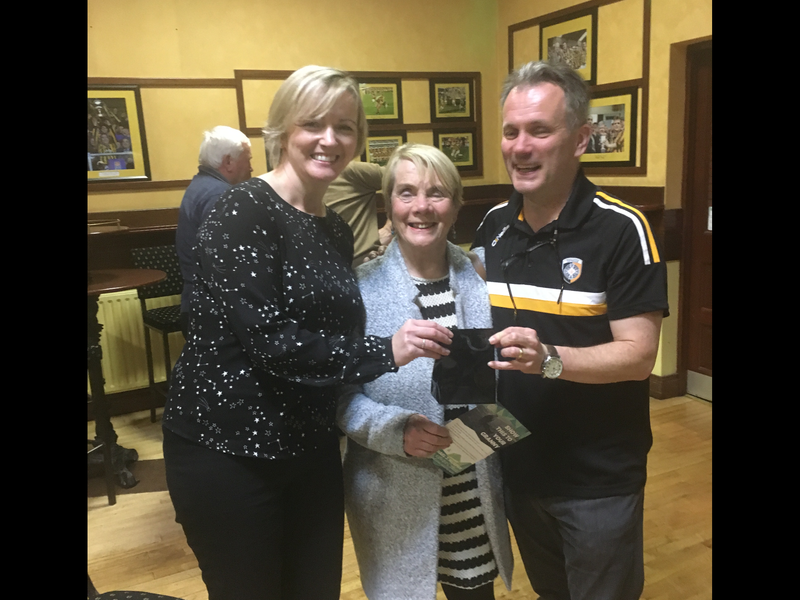 Congratulations to Peter & Brenda McAllister on the recent birth of their wee boy, Dáithi. 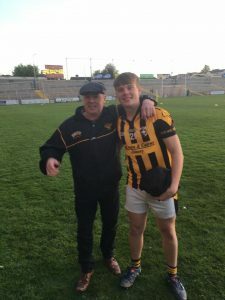 Well done to Pearse Larkin who sang Amhrán na bhFiann in the Athletic Grounds on Saturday evening. 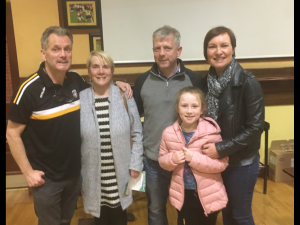 5 matched 3 numbers; Eileen Quinn, c/o Eddie Mortons, Francis McConville, RVP, Shane McCoy, Kathleen Murtagh & Patsy Shields Well done to our winners who win £20 each. Crossmaglen Rangers Club send their deepest condolences to our Club Chaplin, Fr Kevin Cullen and Mrs Rita McKenna, Rathview Pk and the entire family circle on the recent sad loss of their Brother, Malachy. 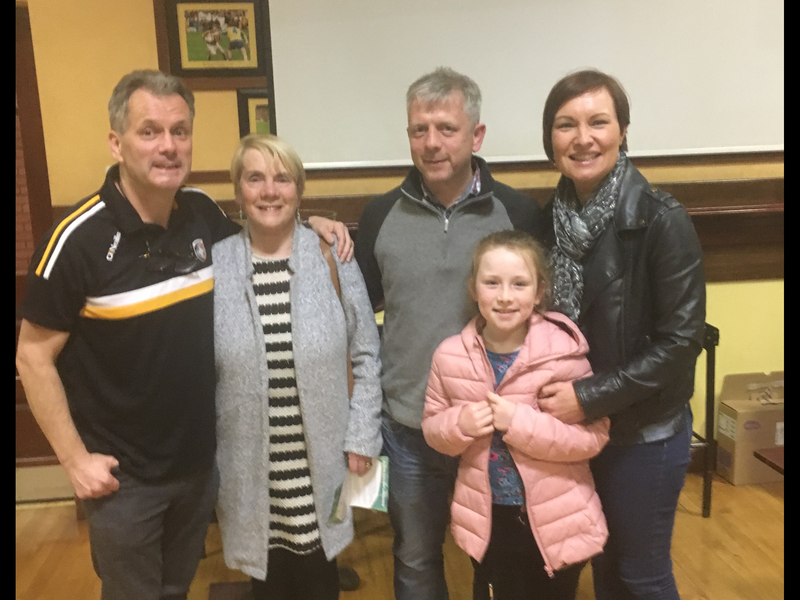 We send our deepest condolences to Geraldine & Paudie Hughes & family on the sad passing of Geraldine ’s Father Tom. Ar dheis Dé go raibh a anam. Posted: October 7th, 2018 under Club News.